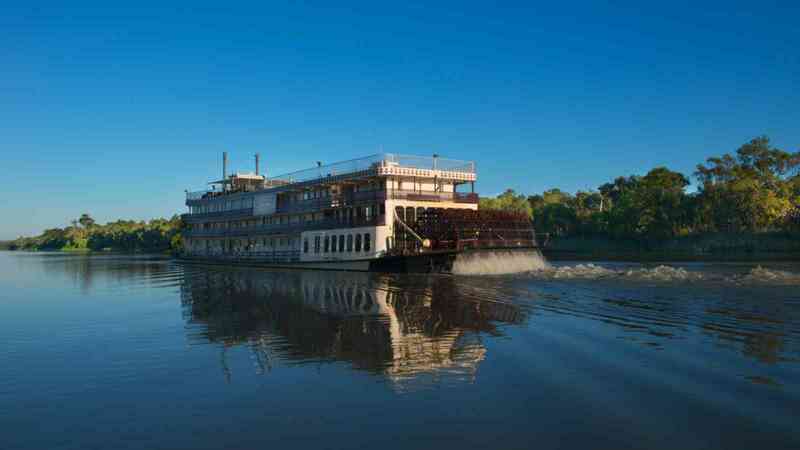 Indulge in a long weekend where you'll discover the beautiful lower riverlands, between the Walker Flat and Murray Bridge aboard the paddlewheeler PS Murray Princess. You'll cruise through spectacular riverlands and enjoy the great variety of flora and fauna. You'll take a nature walk, get up close to the river birdlife on board the ‘Dragon-Fly’ flat-bottomed boat, visit the township of Murray Bridge and learn about the food and wine of this famous region. Discover Australia’s richest and best known wine making region – the Barossa. Depart Mannum by coach to the famous Barossa, the beautiful ‘valley of the vine’ and the source of about a quarter of Australia’s world-renowned wines. You will visit Jacob’s Creek Visitor Centre, Maggie Beer’s Farm Shop, enjoy a 2 course lunch at Lambert Estate and visit the beautiful Barossa Chateau before returning to Mannum where you will then transfer to a luxury coach for your journey back to Adelaide arriving at approximately 5:30pm or Adelaide Airport at approximately 6:00pm. On arrival at Murray Bridge on Saturday (from 9:00am), a coach will be waiting to transfer you to Monarto Zoo, one of the largest open-range zoos in the world spanning more than 1,500 hectares and home to more than 50 species of exotic and native mammals, birds and reptiles. You will travel through part of the zoo and your guide will show you many of the zoos inhabitants including Giraffe, Eland, Zebra, White Rhinoceros, Cheetah, Lions, Hyena and Wild Dogs. After the tour, you will return to Murray Bridge and re-board the Murray Princess in time for lunch at 11:25am. Pre-bookings recommended for both of these onshore tours. For other dates, please enquire. Prices are based on Standard Brochure Fares, Inside Cabin with 2 x Single Beds. Please enquire about our Early Booking Saver (EBS) Fares where you could save up to 15% when booking up to 60 days in advance. EBS Fares have limited availability and once sold, prices revert back to standard brochure fares. Surcharge applies for Single Occupancy and cabins with Double Beds. Upgrades to Outside Cabins or Staterooms available - please contact us for prices. $999 Standard Brochure Fare is based on per person / twin share, Inside Cabin with twin beds. Prices valid for travel 1st April 2019 to 31st March 2020. 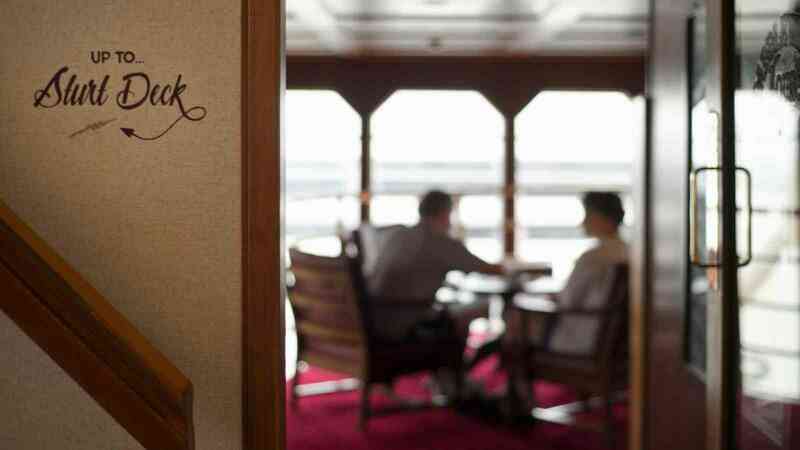 Inside cabins are located on the lower decks and open onto a wide inside passageway. Inside cabins offer twin bedding with limited double bedded cabins available and have portholes facing the outside. Inside Cabins are accessed via stairs, there is no lift access to this deck. Outside cabins are located on the upper decks and the majority of these cabins have twin bedding with limited double bedded cabins available. Each outside cabin opens onto the outside deck walkway with picture windows to view the passing scenery. Our spacious Staterooms are located on the upper decks. Each stateroom offers a double bed (some have an extra single bed) and open onto the outside deck walkway. Mini-bars, fridges and tea and coffee making facilities are also included.